Understanding how species respond to manipulation lets the gardener create sculpture - with plants as the medium. Over time, pruning, training, wiring and clamping can all influence the growth and shape of a plant. 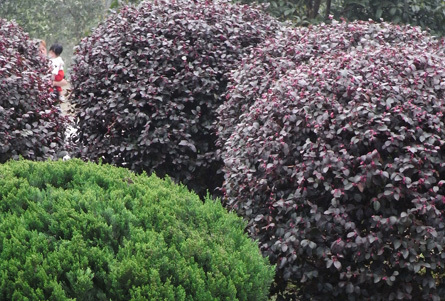 Pruning can be used to encourage dense and vigorous growth and also to restrict size. 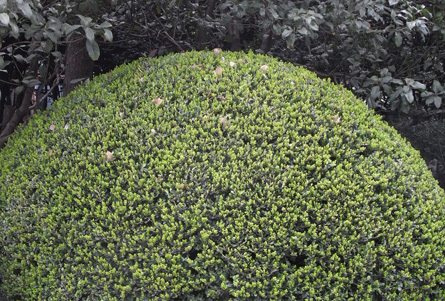 With topiary plants, all sorts of artful shapes can be created. Unlike a formal rectangular hedge, topiary is generally a single accent plant of other clipped forms - from geometric spheres, cones, spirals and obelisks to complex shapes like animals or lettering. 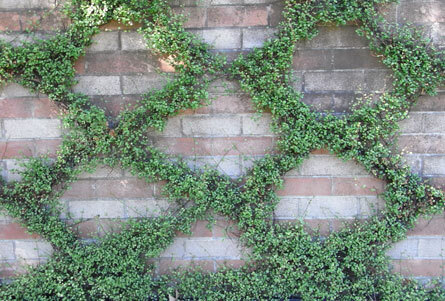 Training climbers onto wires or trellis made to the desired shape can achieve similar forms. The flexible branches of pleaching plants are woven together, and their canopy is often raised up on clear trunks. Aerial hedge plants are similarly elevated, but their naturally dense canopies are allowed to knit without the extra labour of manually weaving branches - though they may be clipped. Standard plants - also with a canopy on a single straight stem - make for a formal feature on a smaller scale and allow space below for under-planting. 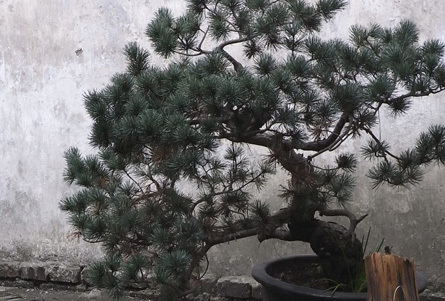 Bonsai plants are miniaturised in containers using wiring, clamping, grafting and pruning to dwarf the plant and develop the character of a mature, full-size tree. Espalier plants - typically fruit trees - are trained to grow in two dimensions. Effectively maximising sun exposure and increasing fruit yields, some climbers and shrubs with long, flexible stems can also be espaliered into symmetrical patterns. Coppice plants have immature stems or juvenile foliage of particular value and are regularly pruned down to their base to promote multiple new vertical shoots. Use the Plant This Plant Selector to choose plants on which to unleash the sculptor within.